Many families often take advantage of the services from agencies providing Senior care in Lake Forest, California, so their senior members can receive assistance at home whenever they need to. Such assistance is necessary due to the physical limitations they may be experiencing in their advanced years. Your aging family members may suffer from various injuries and broken bones. They may think twice about the things that they can or cannot do. With such doubts in their minds, they may be afraid to move at all. Family members may end up resigning from their jobs to focus on caregiving in California, making sure that they are present to prevent falls. The stairs definitely are among the problem areas. Even young individuals can fall from a flight of stairs. 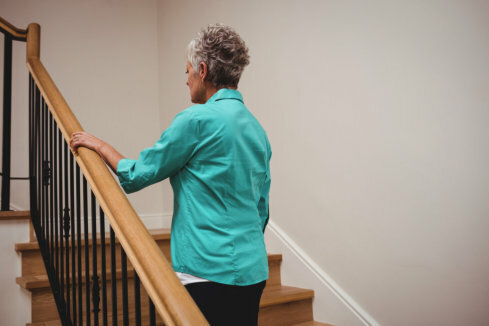 Make the stairs as safe as possible for your aging loved ones by making the necessary modifications. These may include the installation of handrails on both sides of the stairs, installation of brighter lights, or even the installation of a stairlift. You should also keep the stairs free from clutter. Tripping hazards can be found in almost any part of the home. These tripping hazards include loose rugs, protruding nails, elevated steps, and unkempt chords and wires. Loved ones with poor vision may not see these hazards in their paths, so it is essential to remove them. Evaluate your loved ones’ conditions. Their overall conditions can affect their chances of falling. If they have poor vision, check with their physicians if they need to wear eyeglasses. If they have mobility issues, they might be better off using canes or walkers. Their doctor can help evaluate their conditions and find the appropriate mobility aids and solutions for them. A care provider can be present to help minimize the risks, as well as prevent falls. If you need someone to look after your aging loved ones, you can trust our team at Lake Forest Home Care, Inc. Our caregivers can provide the necessary support and care that you and your loved ones require. Talk to us today to discuss your needs! This entry was posted in Fall Risks and tagged fall prevention, mobility aids, services provider. Bookmark the permalink.